Slow Cooker Turkey Breast with Gravy is my go-to when I want a Thanksgiving meal without the fuss! But I wanted to make a quick breast so I can test some new turkey leftover recipes. Some favorites from the archives are this Leftover Turkey Harvest Cobb Salad, or this Leftover Turkey Sweet Potato Fritatta, to name a few. 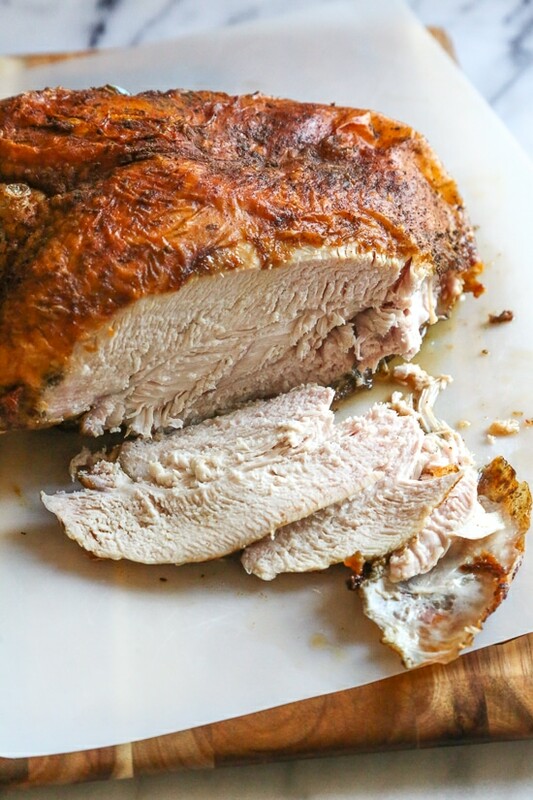 Turkey breast in air fryer was quick and perfect and came out better than I expected!